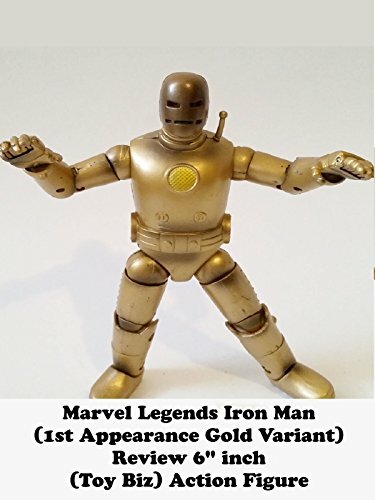 This is a Marvel Legends IRON MAN (first appearance gold variant) armor review. It is 6" inches and made by Toy Biz. This variant is gold in color and technically his second appearance. But when Toy Biz made the grey armor 1st appearance costume they made this gold version the variant and it was hard to find. Other then the color change it is the same exact figure.